We looked at the top 1 Paint Sprayers and dug through the reviews from 8 of the most popular review sites including BestReviews, The Tool Spy, Sprayer Boss, Paint Sprayer Mag, Paint Sprayer Judge, Top 10 Goods, Paint Sprayer Guide and more. Through this analysis, we've determined the best Paint Sprayer you should buy. In our analysis of 68 expert reviews, the Titan Titan ControlMax Paint Sprayer placed 7th when we looked at the top 10 products in the category. For the full ranking, see below. Checkout The Best Paint Sprayer for a detailed review of all the top paint sprayers. The pump is based on a polymer casing and has a handy storage compartment on top. Has new features that reduce overspray. 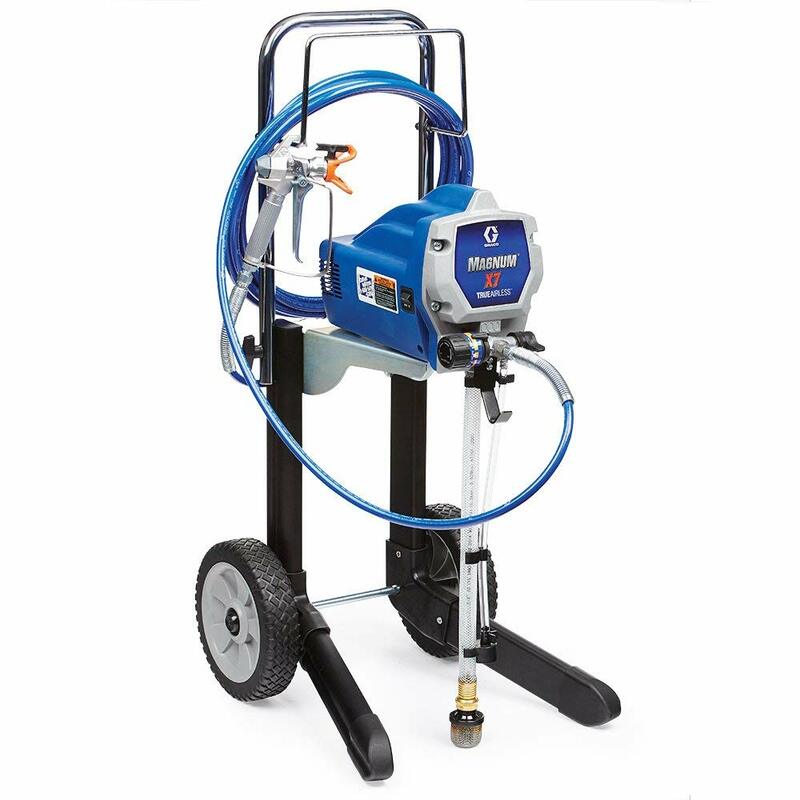 The Titan ControlMax 1700 PRO is a remarkable paint sprayer for both professional and DIY use. It is mounted on a two-wheeled cart which guarantees mobility and ease of use. This device is one of Titan’s HEA, meaning High-Efficiency Airless technology. 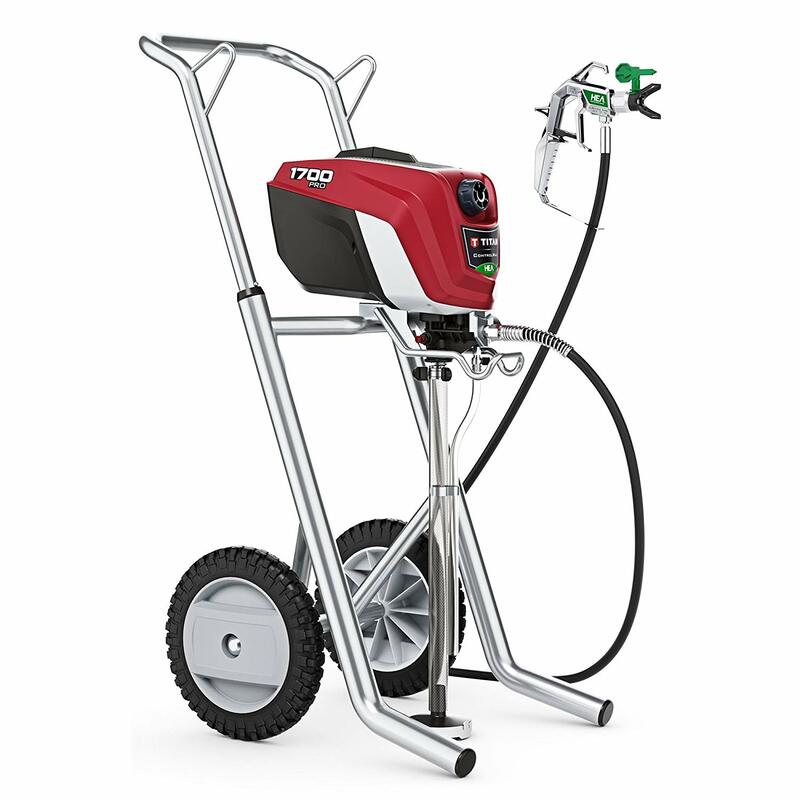 It comes with a 0.6 horse-powered engine, specifically made with the amount of pressure suitable for spraying various paint substances on various surfaces. 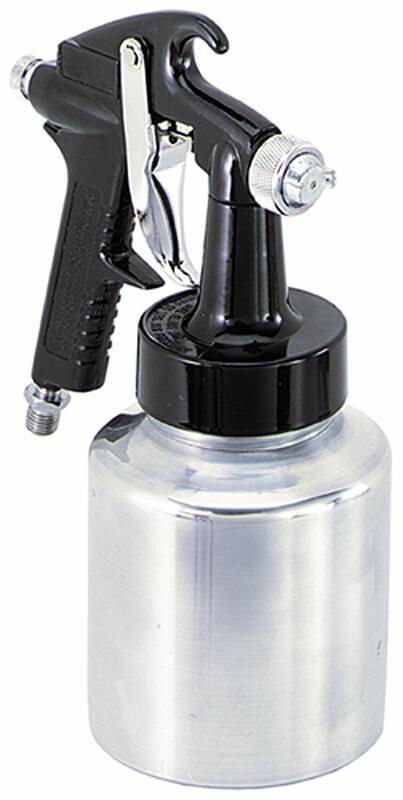 This lightweight and portable sprayer is easy to take anywhere. 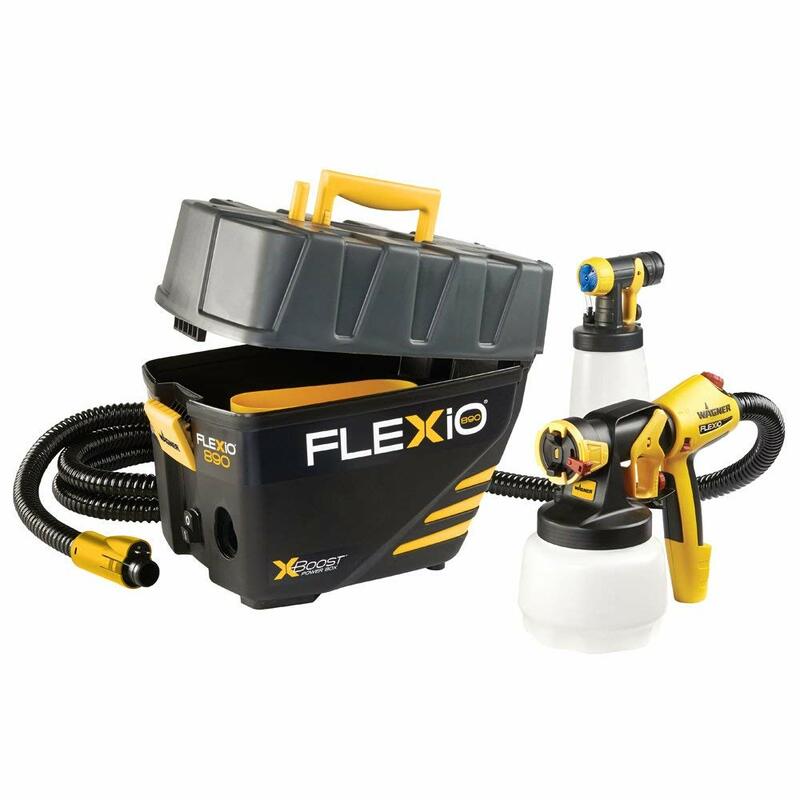 Offering the new High-Efficiency Airless technology (HEA), it can decrease overspray up to 55% over other airless sprayers. The nozzle is much better than most airless sprayers, and it can reduce overspray by up to half. This ensures that you don’t get as much blowback while you’re working. Titan boasts that the new HEA technology performs better than any traditional airless sprayer. The tip can be rotated for removing any stuck debris but the gun does not contain a filter. Pressure adjustment can be difficult. The sprayer does not contain any filter and the huge downside to this sprayer is the issues it can create during cleanup. The Titan ControlMax 1700 Pro high efficiency airless takes the fear out of airless spraying, making it easier to paint like a pro. The HEA system’s new tip technology decreases over spray by up to 55% while delivering softer spray, improving control and providing a more consistent finish. The .60 horsepower HEA pump is a durable and powerful sprayer that can spray unthinned coatings with a rebuildable fluid section that maximizes sprayer life and it is backed by the industry best and longest warranty. 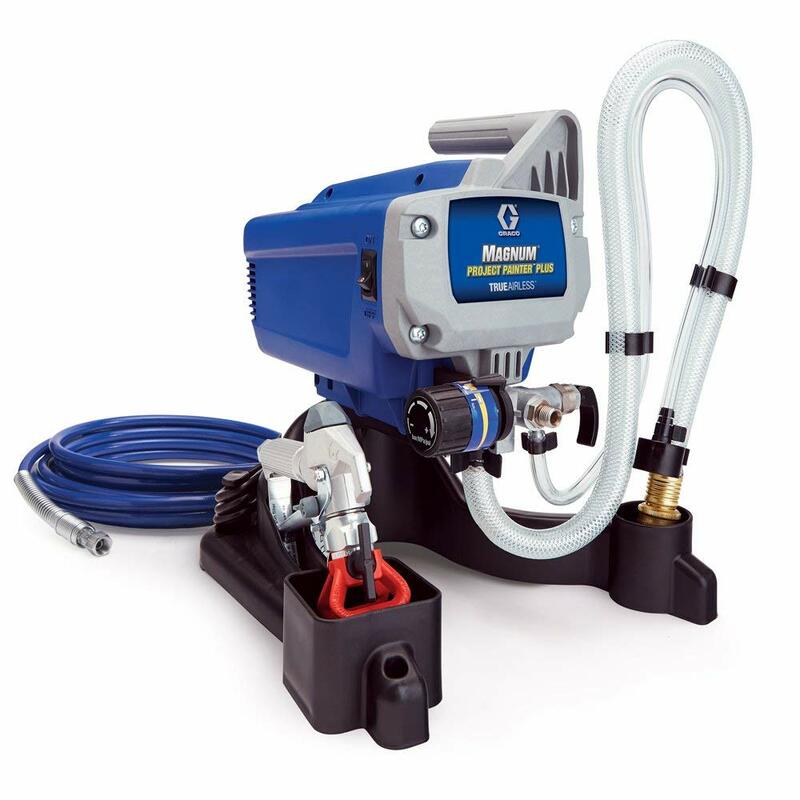 The ControlMax 1700 Pro has a flow rate of .33 GPM and can accomodate up to a .017 inch tip. The unit comes with a 515 ControlMax tip and tip guard and a 50 foot hose. Anyone who has spent an afternoon or longer applying layer after layer of paint to a room knows the value of a paint sprayer, even if they’ve never used one before. Why brush when you can spray a nice, even coat with a wave of your hand? Why indeed — but take a little of that time you’re going to save on the job and do your research. Not every sprayer is ideal for every job. Essentially, there are three different types of paint sprayers. The classic version is an air sprayer, which typically uses an air compressor to push paint out through a nozzle. While easy to use and inexpensive, it’s a tradeoff in terms of performance. As you might expect, the high pressure behind the paint results in less accuracy and more paint used. Special nozzles can mitigate this somewhat, but in general, these sprayers are fine for large indoor areas and less so for detail work. A more versatile option is the HVLP, or “high volume, low pressure” sprayer. While they use air to push paint out through a nozzle at a gentler rate, they also typically employ a turbine of some kind and a special tip to atomize the paint as it comes out. This results in smaller particles of paint that spatter less. That means more accuracy and no air compressor to attach. With the ability to handle most any interior project and even some exterior jobs, the HVLP sprayer is becoming a more popular mid-range choice. For big exteriors, you’ll find most professionals using some form of airless sprayer. 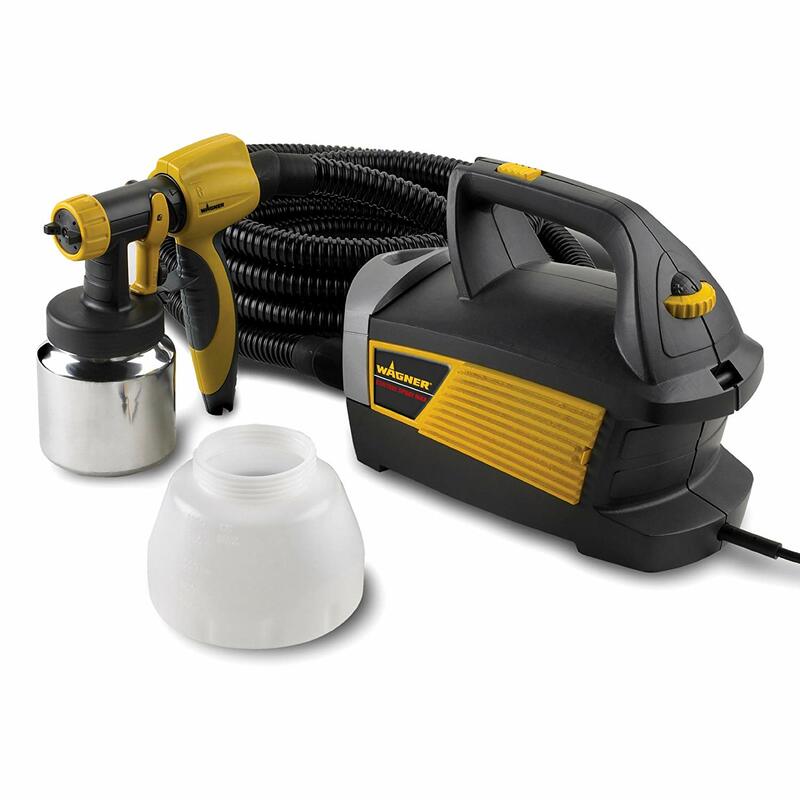 Electric or gas powered, these sprayers typically use a hydraulic pump to draw paint out through the nozzle at high pressure in an even coat. 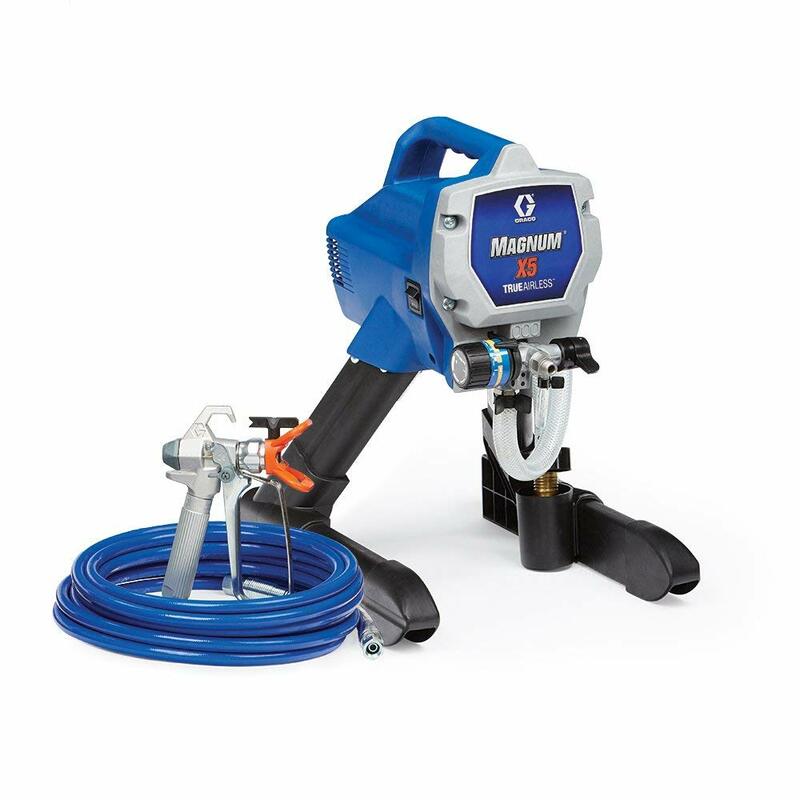 Most airless sprayers, like the Graco Magnum series, siphon the paint directly out of the bucket. With their high horsepower, they can handle most any type of paint without having to thin it first. They also work on basically any surface, including interiors (even ceilings), exterior walls, fences, decks — you name it. Clearly, the kind of surface that needs painting determines the type of sprayer you’ll want. From there, keep in mind that you’ll generally need some kind of attachments or even paint thinner, depending on the device. The pattern that paint comes out in will be either in a round shape or horizontal/vertical lines, depending on which way you twist the nozzle. Special tips can change the spray type to suit your need. Finally, make sure you test your sprayer with a bit of water before you get to work. It’s helpful to know what kind of pressure you’re dealing with so you can adjust the flow and avoid messes before they start. The invention of the first paint sprayer is generally credited to Joseph Binks, a worker with Marshall’s Field in Chicago. Way back in 1887, Binks was tasked with whitewashing the multiple floors of a store basement. His time-saving solution was to attach a hand pump to a pressurized container of paint. It wasn’t until after the turn of the century that Thomas DeVilbiss would adapt a medical atomizer device, outfitting it with a compressor to create the first air sprayer. The current world record for a spray-painted mural was created by a team of artists for the Cacau Show chocolate company in Sau Paulo. The outer wall of their headquarters was turned into a massive chocolate bar spanning more than 61,662 square feet. For indoor jobs, you’re typically going to be fine with a compressed air or HVLP sprayer. Use a compressed air sprayer for large walls and HVLP for detail work and a more even coat. For bigger outdoor surfaces, an airless sprayer can be a huge time-saver. They’re also good for lacquers or varnish, though cleanup of the sprayer can be tougher afterward. In general, thicker paints may not work well with air and HVLP sprayers, while airless sprayers can usually handle the thicker stuff. Check product specs before you buy, or ask the hardware store employee for tips. When it comes to nozzles, most models come with an assortment. Make sure you match the tip to the job. A sprayer with a lot of horsepower is great for pushing out a faster, thicker coat, but bear in mind you’ll need a bigger tip to accommodate all that pressure. For detail work, a horizontal or vertical spray tip is typically your best bet, while round patterns can put out wider coverage for a larger area. Reversible tips can also help manage paint clogging. Just unscrew the nozzle, turn it around and blow the clog out the other end. Ask any veteran painter, and they’ll tell you cleanup is a big factor. It’s great saving all that time with a sprayer until you spend hours cleaning an inferior model afterward. Look for a sprayer that you can disassemble into component parts, such as the Wagner Spraytech. Preferably, those parts will be made of easy-washing materials, like brass or stainless steel. When cleaning, you can soak most lines in water and use a solvent, such as flushing fluid, for the filters and tips. Whether your job is indoor or outdoor, you’ll want to factor in sprayer capacity — especially for air sprayers, which can burn through plenty of paint in a short time. Most air or HVLP sprayers can hold 20-40 ounces at a time. Portability can also be a big concern, especially for outdoor work. 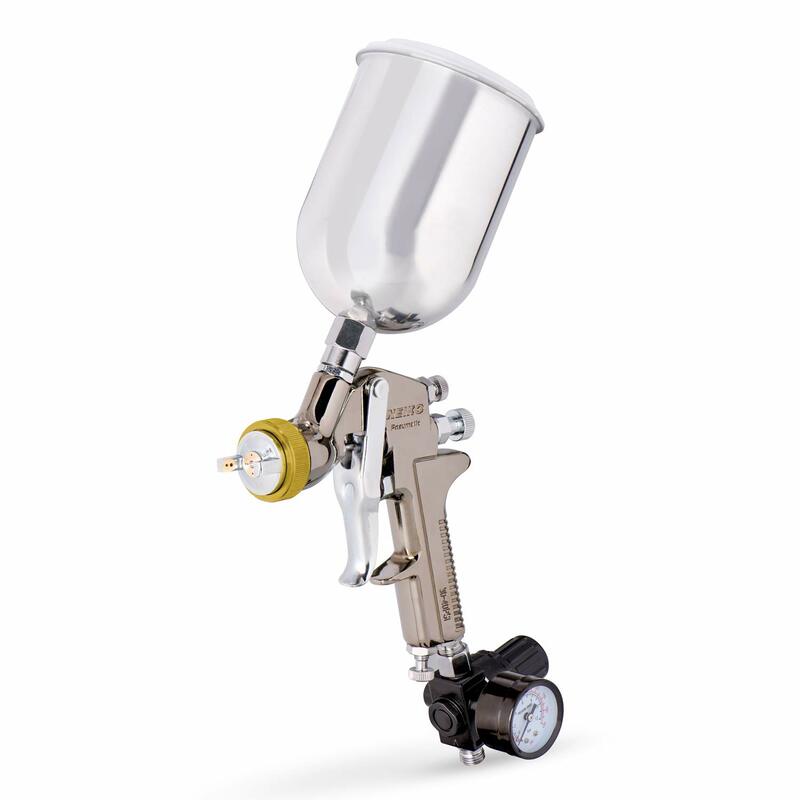 While air or HVLP sprayers have a self-contained supply of paint, airless sprayers typically draw from the paint can itself. That also means you’re limited to where you can carry it. Check the hose and power cord length on your airless sprayer, both of which can typically be upgraded if you need a longer one. As with any paint job, you’ll want to tape and cover carpets and other extraneous surfaces. That goes double with paint sprayers, even the relatively accurate HVLP variety. Again, you’ll want to test your sprayer ahead of time with a bit of water to get a feel for the pressure and spread. Speaking of spread, protect yourself along with those covered surfaces. Atomized paint can be toxic to breathe in, so wear eye protection and a filter mask before getting to work.